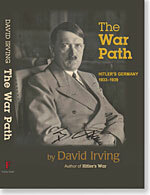 Using the unpublished diaries and papers of the principal actors - the judges, lawyers, and the war criminals themselves - David Irving takes a close-quarters look at the trial which finally ended World War Two: the Trial of the Century, held in Nuremberg from 1945 to 1946. Where the city’s face bore the terrible scars of the mortal struggle between Germany and her enemies which had ended in May 1945, the ghosts continued the struggle for sixteen more months. The armies were unequal; one side was unarmed and had few friends. President Harry S. Truman had appointed Robert H. Jackson as Chief of Counsel for the United States, charged with mounting the prosecution of the major Axis war criminals. His task seemed clearly defined. 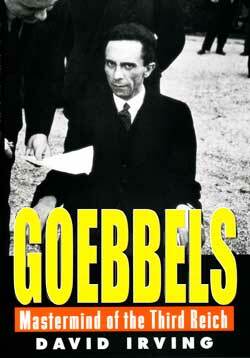 By the time that the trial began in November 1945 many of his ideals had already been betrayed. There would be few crimes listed in the indictment at Nuremberg of which one or other of the four prosecuting powers was not guilty of itself. In the cause of defeating Adolf Hitler, civilian populations had been burned and blasted, murdered, brutalised, intimidated, deported, and enslaved; aggressive wars had been launched, neutral countries occupied by pretext and deceit, and the unalterable paragraphs of international conventions flagrantly violated. Bob Jackson knew this, and it hurt him. It damaged his name and career for ever. 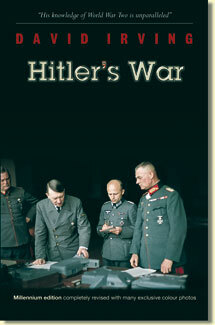 The book includes hitherto unknown photographs, including many in full colour. 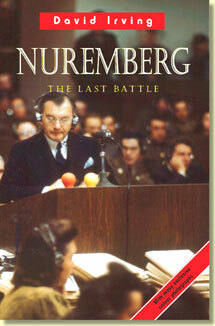 An expectedly-thorough analysis of an area of War history that benefits from repeating the premise that whatever the standpoint, "War Crimes" as such were "Victors' Justice" created and imposed after the event and, rather closer than bore scrutiny, all the Allied Nations were, themselves, equally guilty of the offences. A worthy addition to the author's canon of work.